Australia brings some major changes to its immigration system, including the revision of eligible occupations for permanent and temporary immigration. The changes to the occupation lists were made on the advice provided by the Department of Jobs and Small Business based on the conditions of the labour market. 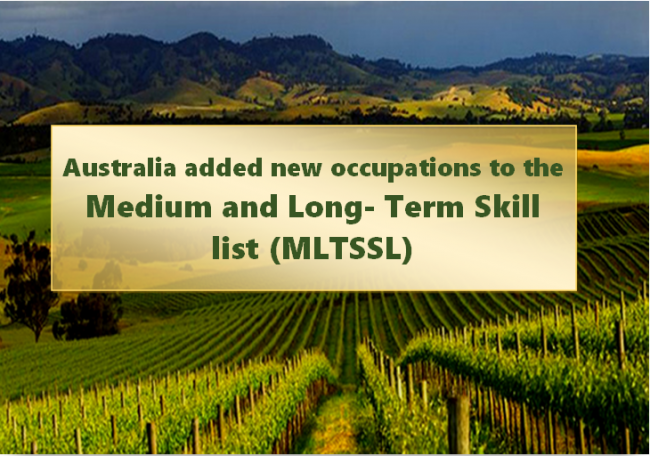 Consequently, 36 new occupations have been added to the Medium and Long-Term Skill List (MLTSSL), including professional footballers and tennis coaches. The update to the skilled occupations lists was made due to Australia’s increasing need of skilled foreign workers, says The Department of Home Affairs. “The Government continues to focus the Migration Program on addressing skills gaps in the economy and these initiatives demonstrate that commitment,” Minister for Immigration, Citizenship and Multicultural Affairs, David Coleman said. 18 new occupations were added to the Regional Occupation List following the latest update to the Skilled Occupation Lists. The occupations widely belong to the livestock and agricultural categories. In addition to it, the categories of dentist and anesthetist have also been added to meet skill shortages. The farmers battling with drought and regional communities will benefit from these changes, according to Mr. Coleman. Under the Regional Occupation List, employers can sponsor overseas workers to live and work in Australia for up to four years. These changes will apply to new applications and will not affect existing nominations or applications. The assessing authorities also made requirement changes for some of the occupations.